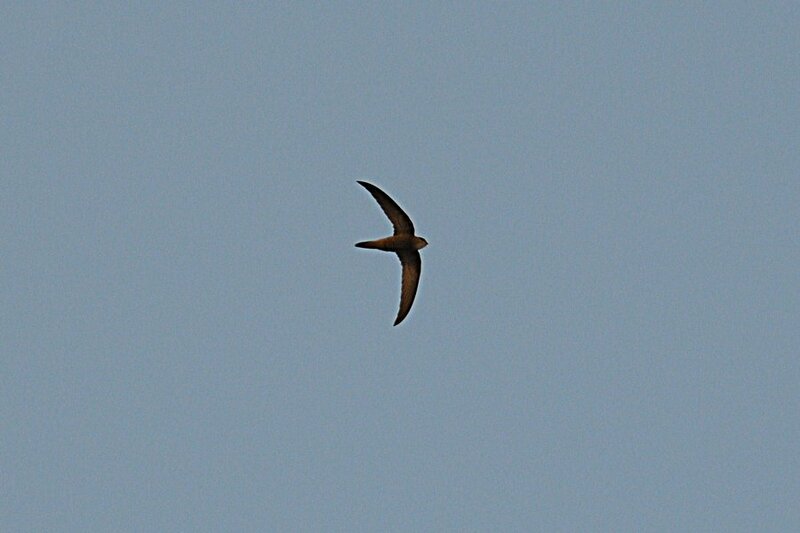 Birding the 'patch yesterday produced few birds, but a large flock of over two hundred Pallid Swift hunting insects in a tight group was a spectacular sight. One Barn Swallow and two Common House Martins were also in the group but I could not find anything else amongst them despite extensive searching. The percolation pond is now so full of water it is spilling out onto the surrounding ground and a couple of very large pools have formed that hopefully will attract something as the migration season arrives. This means that water is again being sprayed onto the spray fields and I was not able to serch this are today due to the amount of water. 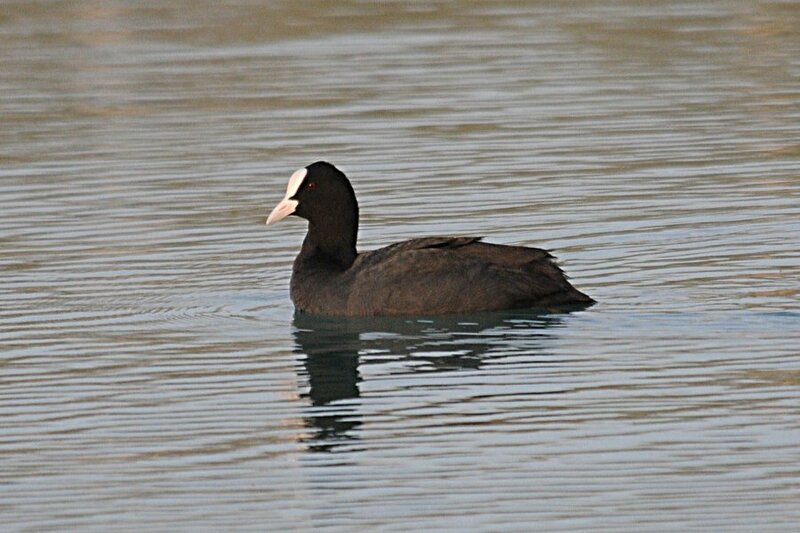 The pond held four Eurasian Coots, which was double the number of last week, one Common Moorhen and the two Great Crested Grebes were back again. At least a thousand Great Cormorant came in to roost in the surrounding trees where a minimum of ten Common Chiffchaffs were calling loudly. 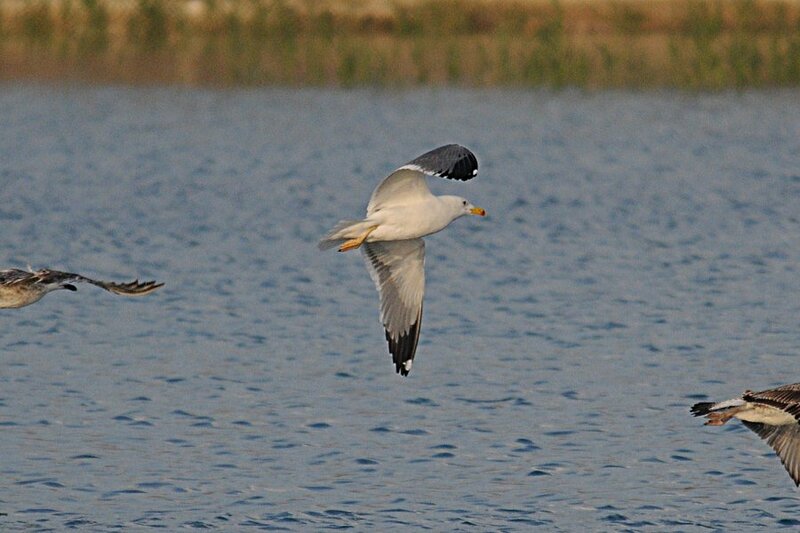 A large number of gulls were also present with 200+ Common Black-headed Gulls, 55 Steppe Gulls and six Heuglin's Gulls also present.